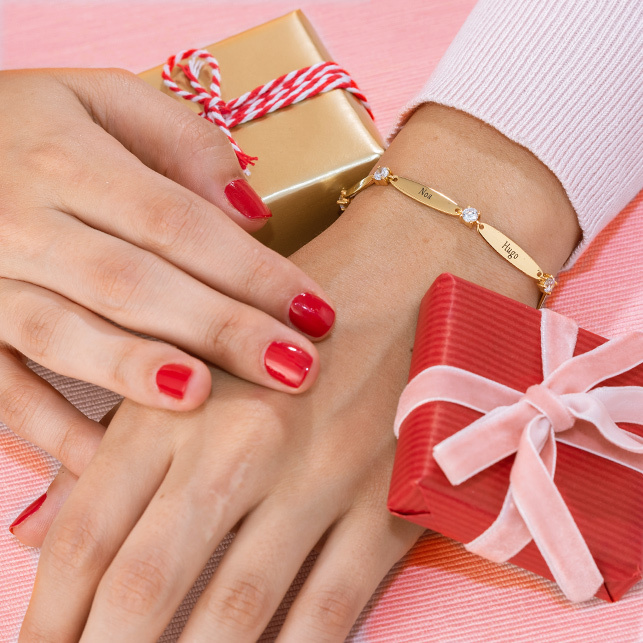 Heart shaped jewellery makes a timeless statement, and we think you’ll love the classic look of our Interlocking Hearts Bracelet in Sterling Silver. 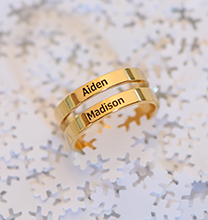 With one name or word on each of the interlocked hearts, it’s just right for celebrating family or embracing the love of a lifetime. No matter how you style it, the look is balanced and beautiful! 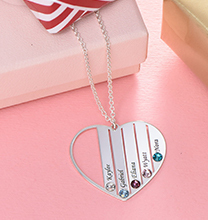 Made with sterling silver, the hearts are connected with a matching rolo bracelet. 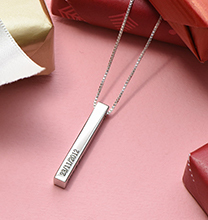 Be sure to visit our personalised mothers bracelet collection to see more styles, including this popular option in your choice of 18ct gold plating or 18ct rose gold plating. 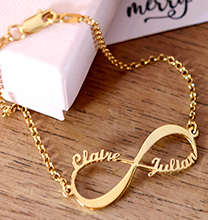 This is a beautifully delicate little bracelet I had my children’s names put on as a gift to myself and I love it!